Fit our culture and image. 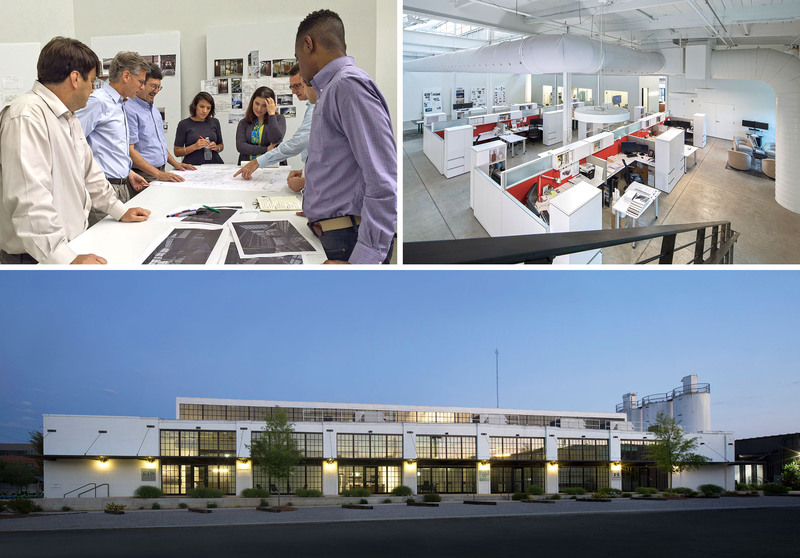 KPS had been commissioned by Corporate Realty Associates and LIV Development to transform the former Merita Bakery – built in the 1930’s – into a contemporary mixed-use office development called Bakers Row. 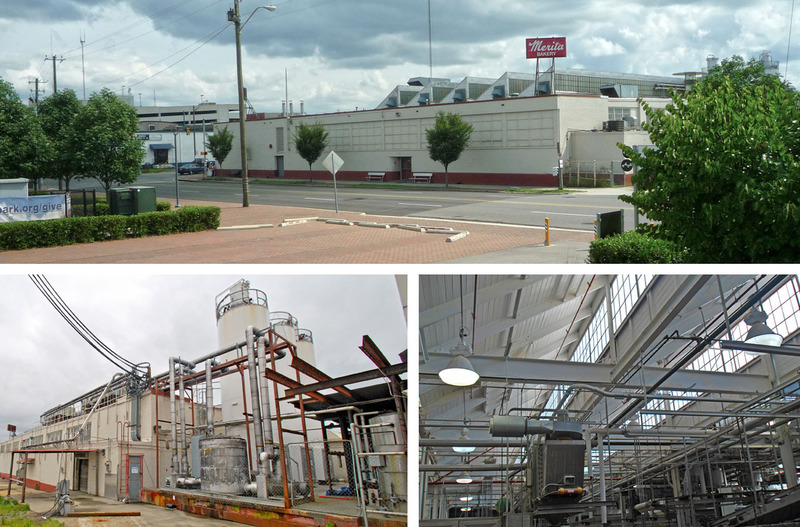 Anchoring the west edge of Railroad Park and adjacent to Regions Field in the Parkside District, the project was in one of the city’s most exciting redevelopment areas. As the design took shape, we realized that it met all of our criteria while continuing our history of contributing to downtown Birmingham’s revitalization. An all-hands trek to the project site for ice cream sandwiches sealed the deal. As we carefully picked our way around the abandoned machinery, we were captivated with the building’s industrial architectural details and amazing sawtooth skylights. KPS, together with developer Corporate Realty, became its anchor tenants. 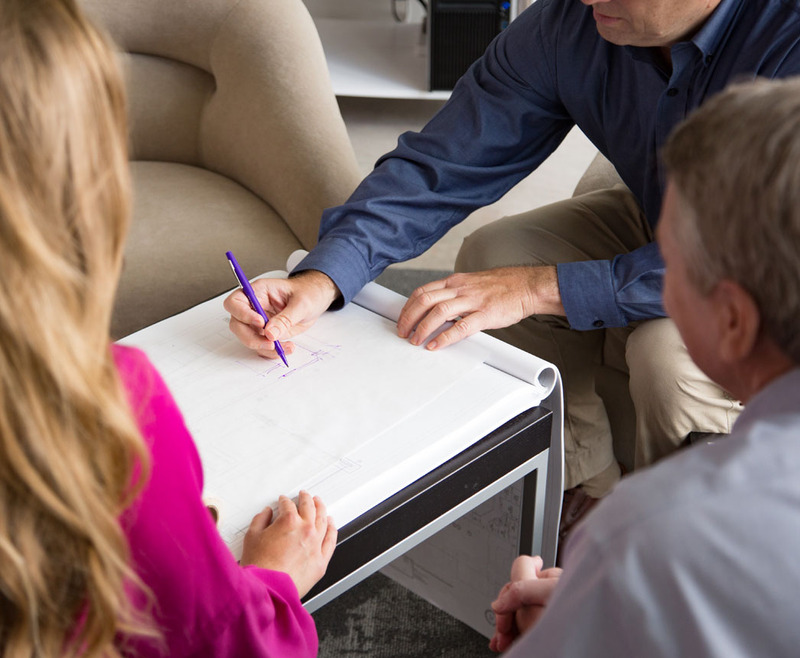 Be a great place to work – comfortable for our team and welcoming to visitors. Bakers Row has kept its industrial feel with concrete floors, exposed ductwork and beams, and expansive industrial windows, making it an ideal creative workspace. Left intact, the original sawtooth clerestory diffuses light while keeping out the summer heat. 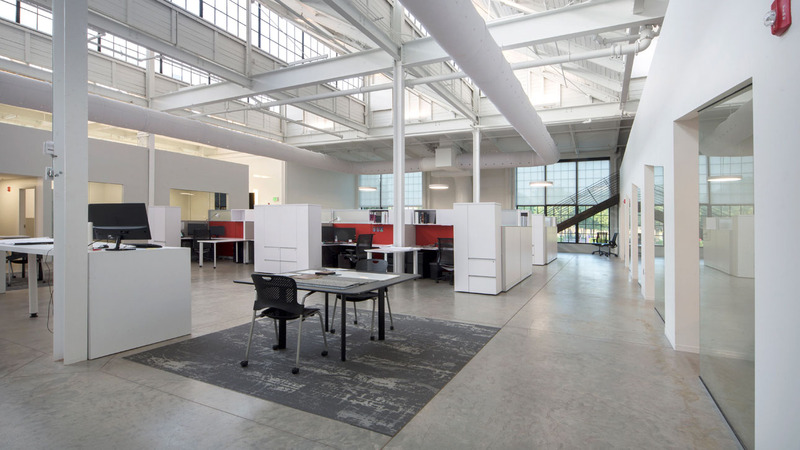 A flexible central workspace with expansive views of Railroad Park forms the heart of our office, with workstations and a large, open collaborative area with a central counter for laying out plans and samples. A floating “zigzag” wall and individual offices – essentially glass fronted cubbies – bound this central space. The reception area and café along the north window wall side of the building welcome visitors. A real benefit in Birmingham’s rainy weather is the covered parking in a renovated metal structure attached to the building. The flourishing Parkside District is an exciting location full of possibilities, with great amenities like Railroad Park, Regions Field, and new eateries within easy walking distance.